In past applications executed need software deployment and installation to physical devices. While cloud computing has allowed an easy access to the internet without special installation. This is a time to move with technological revolutions. Let’s suppose you’re updating a simple Facebook status, it means you’re utilizing the services of the cloud. Furthermore, online balance check and using Google drive are a few other examples of cloud computing at a personal level. There are a lot of industrial challenges are faced with the support of the business cloud. It helps in managing workload professionally. Easy email communication is one of the most significant examples of cloud computing that couldn’t be ignored. Businesses are moving to cloud computing rapidly because it is not just increasing tasks efficiency but also helps in cash flow and workflow improvement. It is offering a wide range of benefits to an organization that couldn’t be ignored. Let’s have a look at the unlimited benefits of business cloud technology to successfully meet all challenges. While we’re talking about the cloud based services for any business, there is the ideal solution that meets standards with fluctuating demands. If your business is at its growing stage and its demands are increasing, you can simply scale up the capacity. Now due to any possible reason, if you’re finding it necessary to scale down the capacity they flexibility allows it to you. Agility of any business is going to increase with cloud support this is a competitive advantage. Disaster recovery is an important point to discuss for all small and large enterprises. It is becoming important to invest in this important factor. Disaster recovery planning is an ideal reality. Business cloud is helping the organizations in setting this trend. Implementation of cloud based technologies is more important for SMBs and startups to implement. So, you’ll be able to avoid unnecessary investments to purchase third-party solutions for disaster recovery. Moving to cloud computing means you’re taken a decision to cut down the high cost of machine and hardware. You can simply pay subscription charges to the service provider and they’ll help you with an easy setup of the solution. Otherwise, it seems scary to have additional expenses including IT team and other essentials. 1st step to right solution is never easy, but you’ve to stick to your decision and prepare to handle the situation. Business cloud technology means you don’t need to take tension of servers because they’re off-premises. Server management is not your headache. Your software service provider is actually responsible to take care of all software as well as security updates. No need to spend hours on system maintenance. Divert to complete focus to other important things that support in business growth. Your workforce can easily share, access, and edit the documents anywhere and anytime. They’ll be able to discuss details and perform their tasks in a better way. Cloud based solutions improve workflow and enable easy file sharing through different applications. All business cloud apps improve internal collaboration and give and an enhanced visibility to real-time data. Document control is also a need of today’s organization because employee’s collaboration has been increased. Previously, files are sent through email attachments after updating data. But after so many updates, in the end, you might get confused and find it messy to manage formats & titles etc. Nowadays, even the small companies need to update the standard. Cloud collaboration has increased the complications because all of the files are stored in central databases. So, everyone can access it because its visibility has been improved. At the same time, it becomes easier to access and manage the documentation according to the requirement in a streamlined way. Transferring your business towards right business cloud solution means you’re getting access to the right technology. 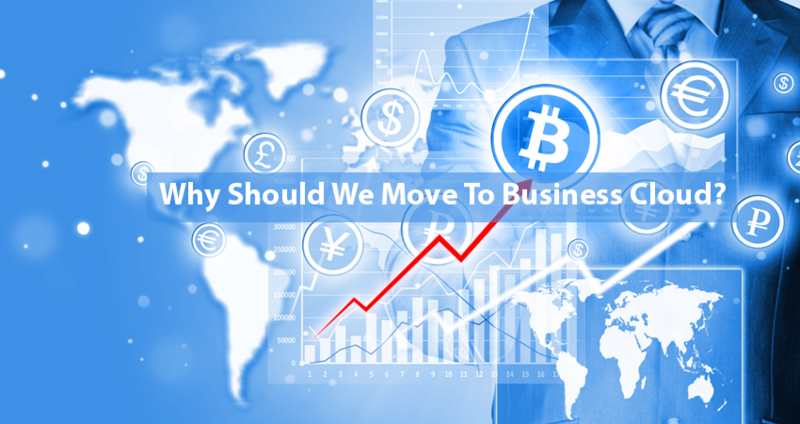 It enables the small companies to stay more competitive in an established way. Cloud based applications mean a lot to any business to streamline all workflow and improve visibility. So, it becomes easier to manage and tracks the level of competitiveness. Business cloud based applications give a lot of advantages as some of them are discussed above. Moving to the cloud is not an easy decision. This decision is not just for the organization but also for employees and improvement of business culture. You cloud need fluctuate with the passage of time along with business growth. It is an environmentally friendly solution that keeps the business more organized. It is going to impact the entire organizational environment.